Are You Proud Of Your Home's Carpet?! Green Way Carpet Cleaning Dallas has professional Carpet Cleaners that leads the way in providing homeowners with clean and fresh smelling carpets without using harsh chemical that are harmful to the environment. We make a deliberate effort of protecting our climate in the manner in which we conduct all our home cleaning services. The products we select and use as well as the way we dispose of waste water speaks volumes of our efforts in protecting our planet. Our staff in Dallas Texas are well trained before they start working with us and continue receiving on-the-job training once they start. Additionally, they have extensive experience and are knowledgeable in new developments in steam cleaning. 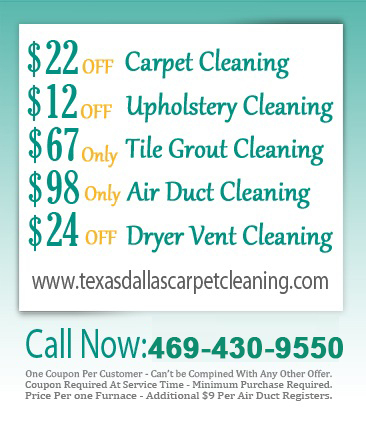 Do you need Pet Stain Removal from your carpet in Dallas TX? If you have this problem and can’t get rid of it, call us and we will help you with the cleaning. We not only have the right treatment for these types of stains, we have the equipment as well. Most of our customers have pets and we help them all the time to remove stubborn stains caused by pets. 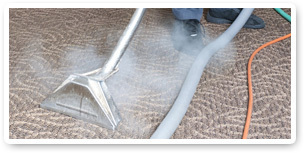 Do you need Carpet Steam Cleaners to clean your floor with no chemicals? If you need this type of service, we are readily available and well prepared to assist you. We have some powerful steamers that we use for this work and we also have a cleaning crew that is one of the best in the floor covering cleaning industry. As a Professional floor coverings Cleaners we've made significant investments in our services to attain the proper and most advanced equipment, well trained and experienced staff as well as created a system that enables us to react quickly when our customers need us and achieve 100 percent customer satisfaction.